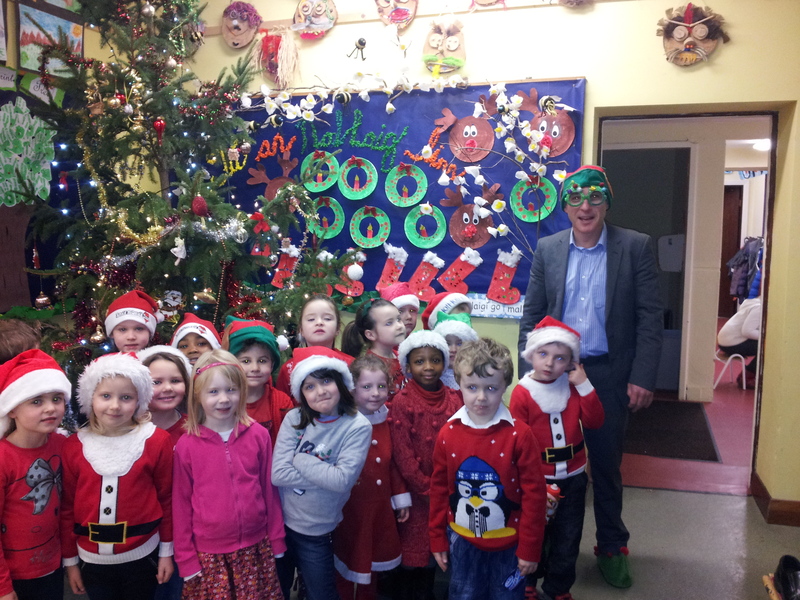 Well done to everyone for wearing their festive colours on Friday and raising money for a great cause. We wish you all a happy and safe Christmas. On Friday 20th December, we are having a Red & Green day, where everyone is invited to dress in festive colours for the day. We are raising money for Crumlin Children’s Hospital. We look forward to seeing you all in your Christmas colours!! 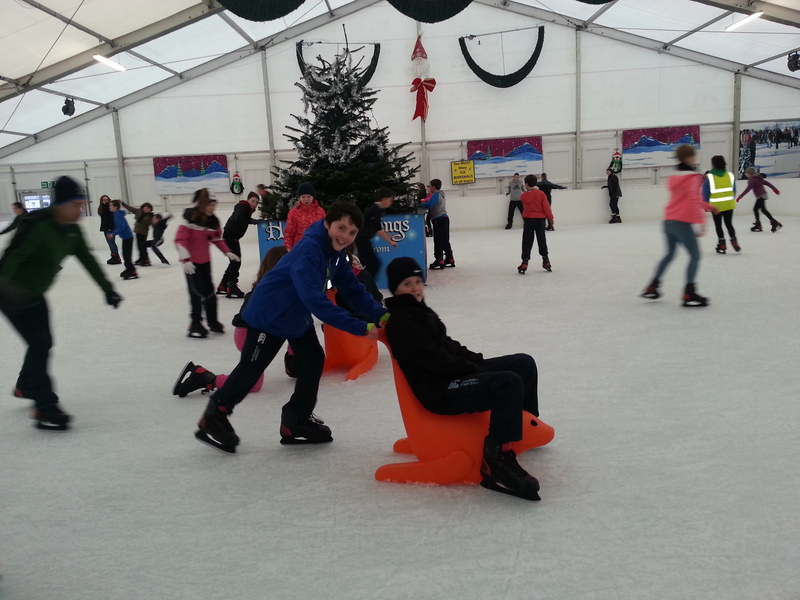 On Tuesday, December 10th, Sixth Class went to the Ice Rink at Arthur’s Quay, in Limerick. After a wobbly start, their confidence grew and soon they were whizzing around the rink! Read more about the trip and view some photos here. 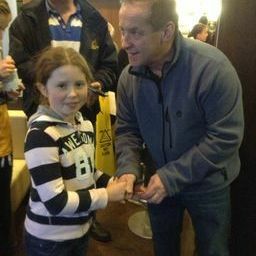 Well done to Alan Killeen on winning the Newgrange Solstice art competition. His prize is a visit to Newgrange on Saturday December 21st to be present for the Winter Solstice. Read more here. On Friday, November 29th, the boys and girls from the football teams were presented with their Cumann na mBunscol medals by Colm Collins, the Clare football manager. View photos here. On Thursday evening, December 5th, there was a wonderful festive atmosphere in Liddy’s supermarket as the children from Fifth and Sixth class sang Christmas carols accompanied by Mrs. McNamara on the piano. Read more about a wonderful evening here. Well done to Sinead O’Connor, Ciara McNamara and Grace Kennedy who represented the school in the regional finals of the Intel Mini Scientists, on Friday December 6th, in Shannon. Read more about the event here. We would like to thank everyone involved in the fantastic success which was our Fashion Event in the West County Hotel on November 21st. 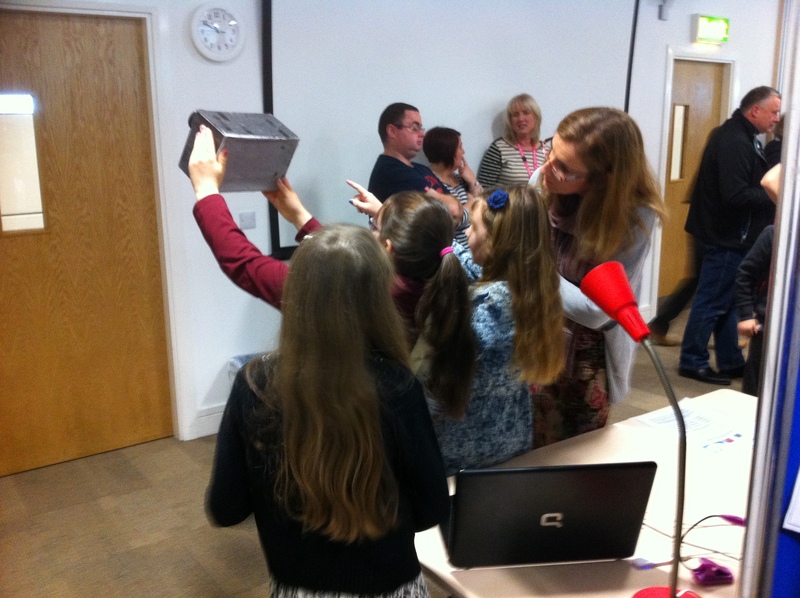 The Fundraising Committee put a huge amount of work in, and it all paid off. The event was sold out, our raffle tickets were selling faster than hot cakes, and the audience cheered & encouraged our amazing models every step of the way. To top it off, we got to see the beautiful and stylish fashions available locally. Who needs Paris or Milan? All you need is Ennis & Shannon! We’ve got lots of photos on our fundraising page. 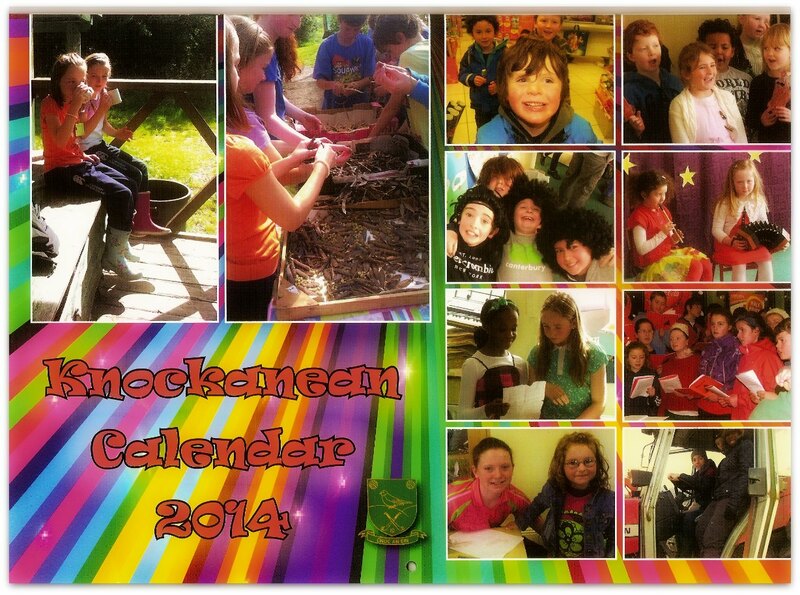 The 2014 School Calendar is now available from the office. The calendar contains photos of various activities at the school over the last 12 months including class photos. Not to be missed, it is very handy to keep your diary in order for 2014, and a great momento to keep for the future to remind your kids of what primary school was like!! Calendars cost €7 each. Or €5 each if you are buying 2 or more.